Grandma's Recipes, nothing better in the world if you can figure out how much a dab, a pinch or a small handful is. I love trying new recipes - hope to win! This would be so nice to have! Thank you for such a great giveaway. Another great giveaway! I look forward to these every week. Haven't won yet, but I keep trying. Thanks for the chance to win! I love collecting unique cookbooks and trying new recipes. Thank you for the chance to win! Queen Shari, a pinch is about 1/8 teaspoon, a dab is about half that much... a small handful is - well - a small handful. But - none of the above are actually measured scientifically. Our grandmothers had an innate sense of what was the correct amount of certain ingredients to use. My mother cooks that same way, and she tells me learning to cook like that is a process of trial and error. LOTS of error. Always underestimate, because you can add more... but once added, it's not possible to take anything away. I love cookbooks of all kinds! some of the "older" recipes are the best. 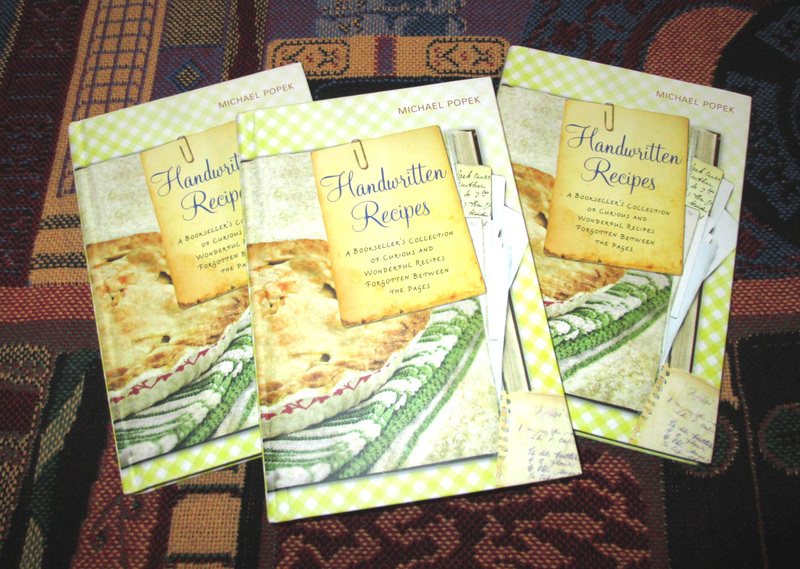 A timecapsule of recipes! This book looks like a lot of fun! I'm in. I've wanted one of these for ages. I'm always delighted to see the recipes that are found. They are little bits of prosaic history that beg to be saved! Thank you for giving away a copy of your book. You're very generous. Thanks for the give-away! I always like when you have your cookbook featured on Friday! Would so Love to win one and be able to pass these recipes on to my girls. I would LOVE to have one of your books.